We pride ourselves on offering a beverage for any occasion. Whether you're relaxing on a lovely autumn afternoon, catching a break during a hot, summer day, or escaping out of frosty, winter storm, we have a drink that is sure to do the trick. 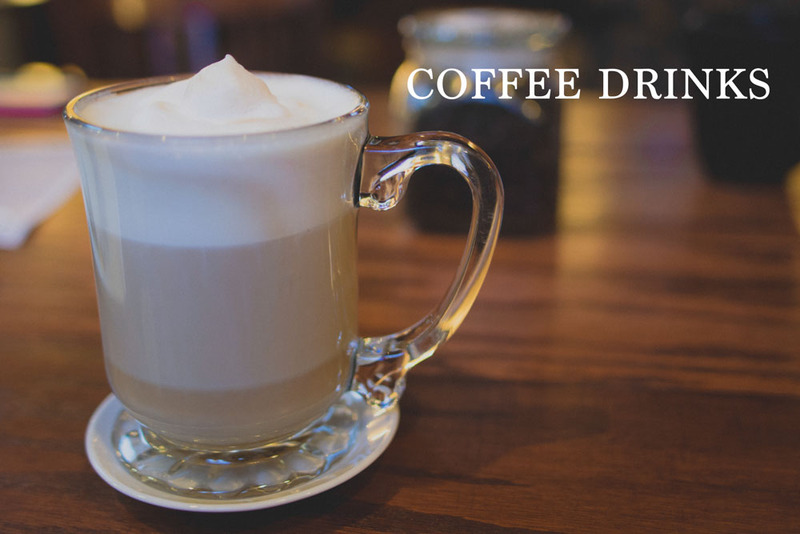 We offer a varied selection of coffee based drinks. We all have our favorites, so feel free to come in with yours and we'll make them special for you. Espresso - single or double shot of rich, creamy espresso. Pour Over - Your choice of single origin roast, made fresh for you..one cup at a time. Black Eye - dark roasted coffee spiked with two shots of espresso. Americano - double shot of espresso with hot water. Vanilla Toddiano - Our house-made cold pressed coffee, mixed with milk and vanilla and served over ice, or we can steam it up-its great hot as well! Caramel Macchiato - caramel and vanilla combined with frothed milk and topped with a double shot of espresso. Mocha - A latte made with rich Ghirardelli dark chocolate sauce. Cafe au Lait - house brew 3/4 way.. topped with 1/4 frothed milk. Cafe Miel - A honey and cinnamon latte. Black Van - A creamy blackberry and vanilla latte. Cafe Bombon-A traditional 8oz. latte with sweetened condensed milk.-so smooth. Hot Chocolate - the classic winter day's drink. Made with rich Ghirardelli chocolate sauce(white or dark) with a splash of caramel and vanilla.house made whipped cream optional. Apple Cider - simple hot apple cider seasoned with cinnamon. Sparkling Soda - Club soda mixed with your choice of flavor and the option to top with a splash of cream, and our house made whipped cream. 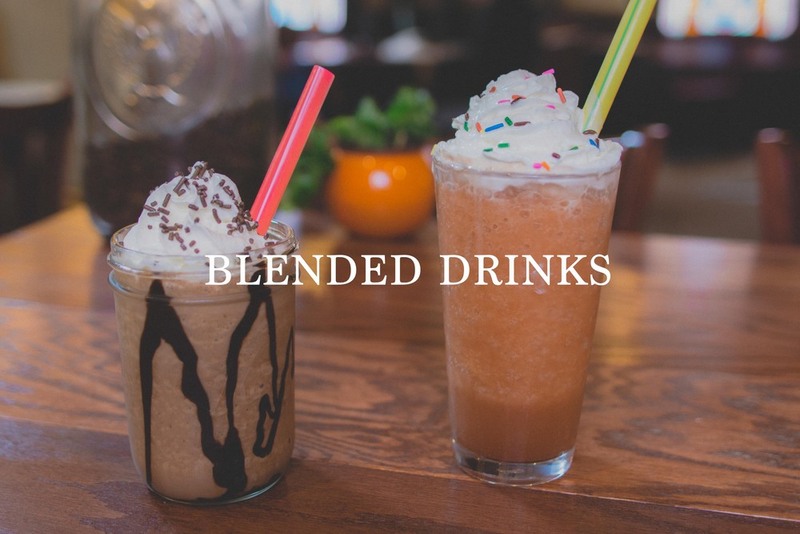 Perfect for summertime, the limit to our blended drinks is your imagination. Bender - (frappe)Blended cold-pressed coffee, base, splash of milk, with your choice of flavor. Smoothie - ice blended with 100% fruit puree. Your choice of strawberry, (peach-pear-apricot), mango, four berry, or pineapple. COMBINE purees or ADD a banana! Lemon Freeze - fresh frozen lemonade mixed with your choice of flavor or any of the 100% fruit purees! PB&M - one of those combinations that is just meant to be. A peanut butter, banana, mocha bender. whether you're a seasoned tea lover or a new to the game, we've got a drink perfect for you. 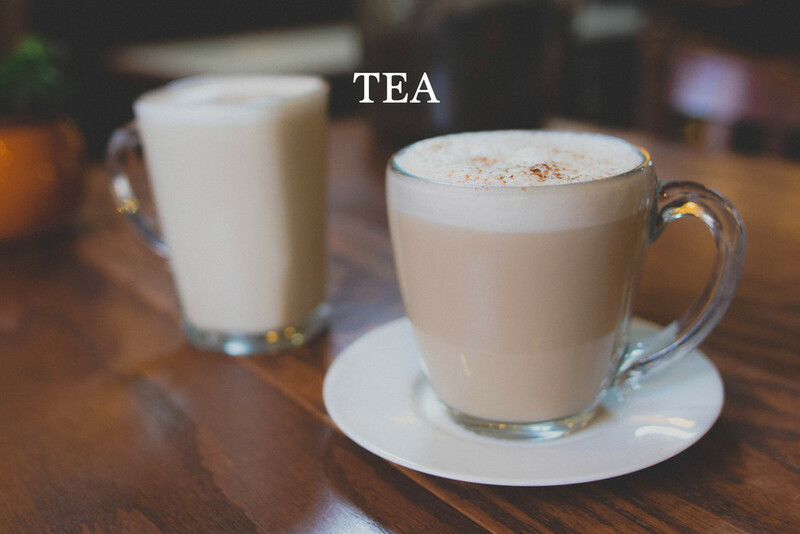 Chai Latte - A classic chai blend of black tea infused with spices and frothed with milk. Loose Leaf Tea - Your choice of BLACK:GREEN:OOLONG:HERBAL. London Fog - Earl Gray tea mixed with frothed milk and vanilla. Green Tea Latte - 100%matcha green tea paired perfectly with vanilla and milk..get that hot-iced or blended. Purple Cow - red berries tea mixed with vanilla and milk and served over ice.